Innsbruck, the cultural and tourist capital of the Austrian province of Tirol, is a historic city that dates back to the Romans and served as the residence of the Hapsburg emperors. For centuries Innsbruck has been the hub of routes leading north to Germany, south to Italy, west to Switzerland and France, and East to Hungary and beyond. The old medieval city, or Altstadt, is remarkably well preserved. Today's city of 125,000 inhabitants is the center of a large winter sports area. The local culture is preserved and celebrated in numerous festivals, concerts and parades throughout the year. In short, Innsbruck is a breathtaking place to live. Students study at the University of Innsbruck in the heart of the city. Founded in 1669 by the Jesuit order, the university has been administered by the Austrian state since 1848. The course offering consists of a cluster of courses taught by faculty from the University of New Orleans, our partner provider. These courses are designed to accommodate the general curricular needs of Saint Mary's students. Typical offerings include Art History, Literature, Philosophy and Geology. All courses are taught in English. Students are required to take German Language classes at the appropriate level of their language skill. Students with advanced German may take courses at the University of Innsbruck. The Innsbruck program features an academic offering that is both broad and excellent. Most of the university's institutes and lecture halls lie along the banks of the picturesque Inn River. Like most European universities the campus is fully integrated into the life of the city. The excellent railroad system puts most of Europe within easy reach. Austria is a Catholic country and religion is an integral part of the daily life in the region of Tirol. Daily conversation, holidays, wall paintings, wayside shrines, parish and village churches, and imposing cathedrals are constant reminders of the deep living faith of the local population. Students choose to study for a year or the spring semester. The regular fall academic program in Innsbruck begins in late September and ends by the beginning of February. The spring semester runs from mid-February to early July. Students arrive in Innsbruck on their own and are met by the director of the Innsbruck program. Our students participate in the program provided by the University of New Orleans. During the first week on campus, students engage in an orientation program with their advisor and professor. Students are housed in Austrian student dormitories. These are all within a short walk from the central campus of the university. Students are assigned to live with German-speaking roommates and are expected to follow local norms regarding visits and hours. The program arranges for common meals on holidays (such as Thanksgiving dinner). For other meals a cash food allowance is given, which students may use at their discretion to eat at the Mensa (university cafeteria), local restaurants, or to purchase food to cook in dorm kitchens. Students enrolled in the program pay regular Saint Mary's College tuition and on-campus room and board fees. The program fee meets the cost of the following: tuition, room, board, and scheduled field trips. The student must pay for personal travel, medical expenses, food during holidays, books, and incidentals. 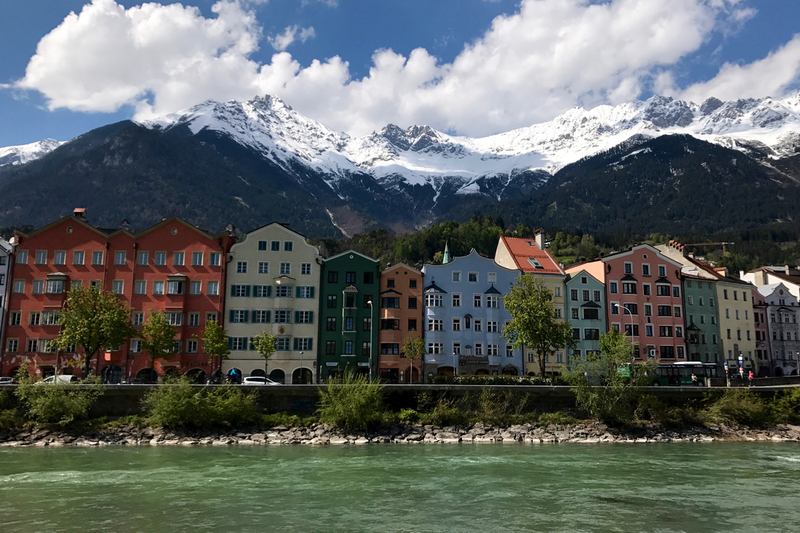 Most financial aid and scholarships can be applied to the Innsbruck program with the exception of the tuition benefit from the CIC and CCCTE tuition exchange programs. Saint Mary's students wishing to study in the Innsbruck program must have a minimum 2.5 GPA at the time of their application. The program is normally open only to sophomores, but juniors may participate with the approval of the chair of the German section. The application materials, including academic letters of recommendation and character references, are due by the first of December. It is important that participating students are positive representatives of Saint Mary's College while abroad. Therefore, a successful candidate is expected to have an exemplary disciplinary record, emotional maturity, and an openness to new experiences and other cultures.